Playtime isn't just for fun—it's crucial to childhood development. When choosing a playground, there are several important factors to consider, including how children will travel to and from the play area, and whether there are potential hazards, such as busy roads, water features or drop-offs. 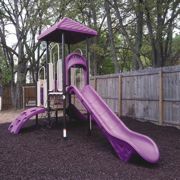 ParknPool has a huge selection of quality playgrounds and play components for ages 2 to 12, and a CPSI on staff. Value Vinyls introduces Soluna, a 19-ounce coated PVC vinyl. Designed with superior tensile and tear strength that resists sagging, Soluna is ideal for fixed awnings. It has a decorative orange peel emboss that is available in 11 popular colors. 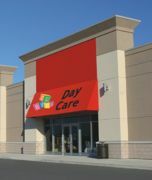 This product is fire-retardant, UV and anti-mildew treated, waterproof, easy to clean and has an acrylic lacquer that allows for printable awnings. Berkshire East Ski Area in Charlemont, Mass., a long-standing family ski destination, will add Aquatic Development Group's ADG Mountain Coaster to its activity mix. Family-owned and operated for 35 years, Berkshire East has placed a strong emphasis on growing its year-round and summer activity base. Over the past few years, the ski area has added zipline canopy tours, mountain biking and wind turbine tours to its summer activities. The ADG Mountain Coaster will feature a total track length of 5,350 feet. 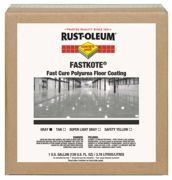 Repair, refinish and put concrete floors back into service in only 24 hours with new products from Rust-Oleum Industrial Brands. InstaPatch Concrete Repair and FastKote Polyurea Floor Coating make it fast and easy to patch and refinish concrete floors in commercial and industrial facilities. InstaPatch Concrete Repair is an ultra-rapid curing repair product that cures in just 15 minutes or less. FastKote accepts light traffic in as little as four hours and full vehicle traffic in only 24 hours. DeltaUV now offers its low-pressure ultraviolet sanitizer (ELP Series) in a new high density polyethylene (HDPE) material. Unlike plastic pipe, schedule 80 type HDPE is fused or welded together, not glued, almost completely removing the possibility of leaky joints. The material is corrosion resistant and will not support biological growth, perfect in salt pools and very corrosive environments. Flexible, fatigue-resistant and UV protected material, it is the basis for the new Delta commercial product line, offering a cost-effective, long-term service life of 50 to 100 years. Go green with Aqua Creek's new Innovative Solar Charging Station, The Solar Charger extends the life of your battery and eliminates the need to remove the battery for charging. The Solar Charger is easily installed using the pool lift's existing bolts. Saves labor, saves energy, and extends your battery's life.